T.J. Johnston has a story that’s straight out of a movie. Ultimately, Johnston became homeless himself. Now he heads up Street Sheet as an assistant editor. In the gritty Tenderloin neighborhood in downtown San Francisco, past scores of neighborhood people hanging out, through a red door and up a tiny, thin stairwell, is Street Sheet. I am there during Pride Week, in the same neighborhood where the first resistance to police sparked the Gay Liberation Movement. Street Sheet reminds me of a college newsroom, and I realize that I’m a long way (geographically and metaphorically) from the polished halls of Sports Illustrated or Buzzfeed. Shopping carts line the newsroom, which has walls covered by posters with slogans about social issues. Street Sheet started out as a newsletter in 1989 as an offshoot of the Coalition on Homelessness. 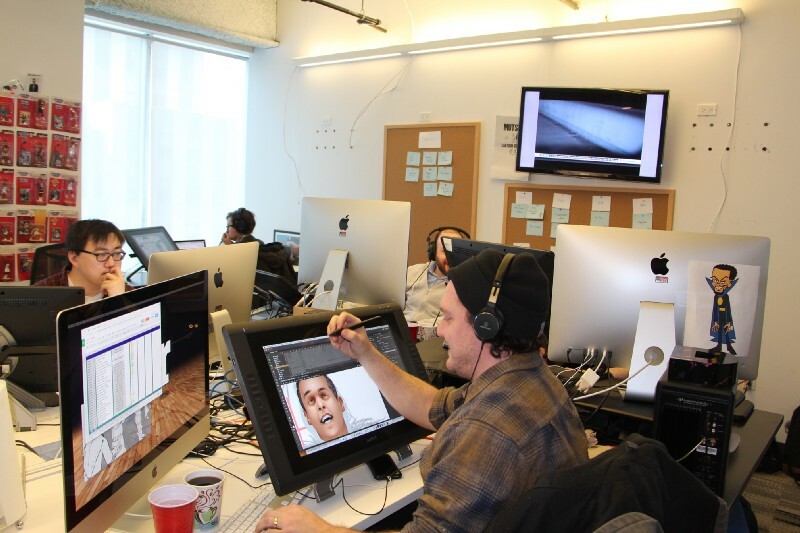 It recently underwent a major redesign with help from working artists. At Street Sheet, there were certainly bigger fish to fry. Call it public service journalism or advocacy journalism, but the reporters at Street Sheet work hard to shine light on issues that affect the homeless and people in need. At Street Sheet, they do social justice loud and proud. They hit the streets to sell papers as an alternative to panhandling. Dozens of local ordinances forbid that, along with other homeless activity, which could include sleeping, sitting and hanging out. There are another dozen or so state ordinances that restrict the activity of homeless people. “San Francisco is the most criminalizing of homeless people throughout the state of California,” Johnston tells me. Street Sheet Vendor Manager, Scott Nelson, oversees people who choose to sell the paper on the streets. Nelson explains how the system helps homeless people in the area and gives them an alternative to panhandling. Street Sheet Vendor Manager Scott Nelson explains the process for selling papers. Inextricably linked to social justice, the mission of Street Sheet extends to watching out for those who cannot help themselves, and giving voice to the voiceless. Reblogged with permission from a post with the same title at Medium.com, published August 26, 2017. Every newsroom has quirky items sitting around, but The New Mexican is winning so far. A large teddy bear sits in the corner, yet no one can really explain why or where he came from, so he forever languishes in a sun-lit corner of the newsroom. Tim Baca and his wife were out celebrating her birthday and struck up a conversation with another man, Christopher Owens, and enjoyed the night until, apparently, the two men argued over a song and Owens allegedly shot Baca. The father of four was dead when police arrived on the scene. This came on the heels of a deadly shooting spree just a couple of days earlier. Many local newsrooms are quiet on Sundays and this is no exception. The only noise is the police scanner in the background as Cynthia talks. 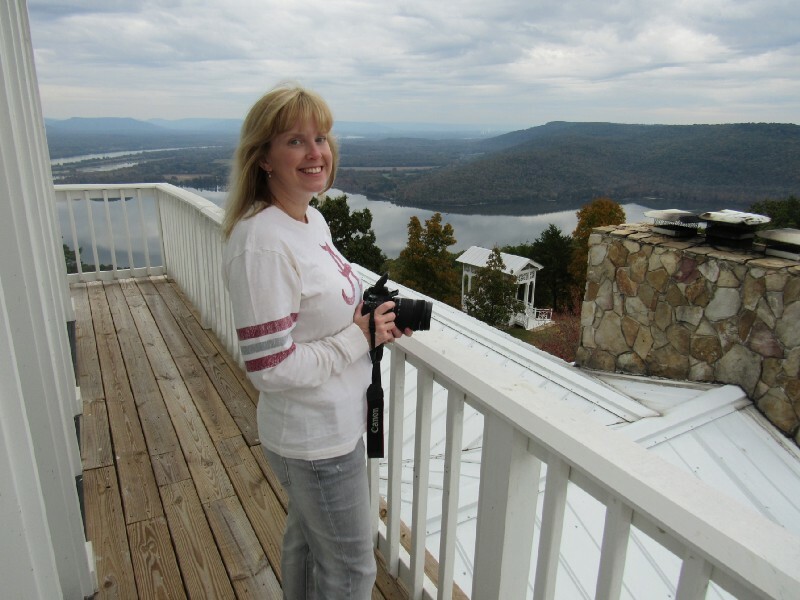 Like many journalists, Miller found the profession through her love for creative writing, but that blossomed into a love for journalism, from crime stories to profiles on college graduates. Miller talks about how the media is demonized until someone needs to know information, a common thread I’ve heard in newsrooms I’ve visited on my project trip. Santa Fe New Mexican City Editor Cynthia Miller talks about working in the news industry. Reblogged with permission from a post by the same title on medium.com, June 20, 2017. Having written about conceptual and creative issues relating to lecture video creation, I’m devoting this entry to the technical process of creating videos. As before, I’ll note that I’ve taken one of many possible approaches to creating lecture videos, and not necessarily one that jibes with your teaching style. Ideally, this entry will inspire you to move from thought to action, from having conversations about what you’d like a video lecture to be to actually making one. I’ll focus mostly on visual elements and assume that you have already written the lecture script. I haven’t tried to write a lecture script as I create visual elements to go with it, though I’d imagine you could do both at the same time. Having the script in place before you start assembling visuals ensures that some of the big questions about how to teach a lesson – what concepts are to be covered, what the structure of the lecture will be – have already been answered. This lets you focus on deciding what visuals best represent your concepts in an engaging fashion. I’ll discuss three stages of the video-making process: creating visual, recording visuals, and editing. In the table below, I provide a few examples of software you can use for each of these stages. Software, as you probably already know, varies in terms of the ease with which you can access and use it. It’s wise to spend a little time trying out several software options before settling on a combination that works best for you. My software roster – Google Chrome, Google Images, YouTube, Powerpoint, and Camtasia – is the result of my existing familiarity and comfort with Google software and Powerpoint, and the generosity of my college, which owns a license that allows faculty to use Camtasia. When I’m ready to start, I’ll open Camtasia and select “record ”. This allows me to use the web camera attached to my computer to record myself speaking and/or record anything on my computer’s screen. I tend to use the video-recording ability of the web camera sparingly. Many teachers prefer to record videos of themselves lecturing and include a “picture-in-picture” (PIP) video in the corner of the screen throughout the video. While this may make abstract material easier to relate to and provide a “human touch” to the often-impersonal world of online learning, I feel as though the writing style of the lecture and the recorded voice present enough of a personality for the purposes of my course. As with so many things, it depends on what you’re teaching and on your personal teaching style. This is how “picture in picture” (PIP) looks. Once the audio track is recorded, I switch over to either YouTube (for lecture passages that would best be accompanied by an existing video clip) or Powerpoint (when I want to create a visual from scratch). If I have an existing YouTube clip in mind, I’ll cue up the clip, start recording my screen using Camtasia, and then play the YouTube clip. I typically use only part of the YouTube videos I find, starting the recording a bit before the section in the video I intend to use and stopping the recording a bit after it ends; you can always clip the ends off of your recording when you edit. Once the clip is recorded, I’ll line it up with a particular spot in the audio lecture, trimming as necessary (see video below). In cases in which I want to design my own visual, I’ll go to Powerpoint and create a new blank slide to which I’ll add elements – text, shapes, or pictures. When I just want to create a static picture of these elements, I’ll save a slide and import it directly to Camtasia. But when I want to animate the elements so as to engage the viewer and/or to make a point clearer, I use Powerpoint’s animation feature (see video below). Once I’ve created the Powerpoint animation, I’ll start recording my screen using Camtasia and then play the animation in Powerpoint. This yields a clip that I can then edit and arrange alongside the audio lecture track. These three elements – the audio lecture track, animated Powerpoint slides, and video clips – are the basic material that makes up my video lectures. This description only scratches the surface of what you can do with this software. As I mentioned before, one often feels overwhelmed by all of the options presented by digital tools. 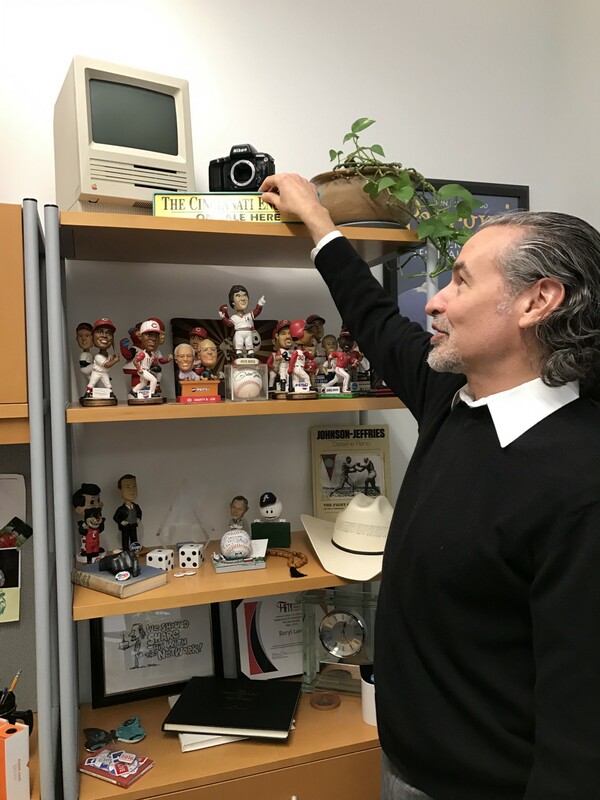 The best way to avoid being overwhelmed is to think back to your original vision for the video lectures, and your original vision as an educator. You may not end up with precisely what you wanted to create when you set out, but having a vision that is anchored in sound pedagogical principles will make the hundreds of little decisions you have to make along the way easier. There are many ways to convey ideas to students online. You can create a slide-deck, or a podcast, or a text document. But instead you chose to create a video. What can you do with this tool that you can’t do with any other tool? When I watch many of the more popular educational videos, I get the sense that educators aren’t using the medium to its full potential. There are entertaining videos that aren’t pedagogically sound. There are videos that are made by individuals who are clearly experts in their fields that are dreadfully boring. That’s what makes the act of creating a lecture video at this time so exciting – the work you’re doing is helping to answer that as-yet-unanswered question: what does a great lecture video in your area of expertise look like? [1.] 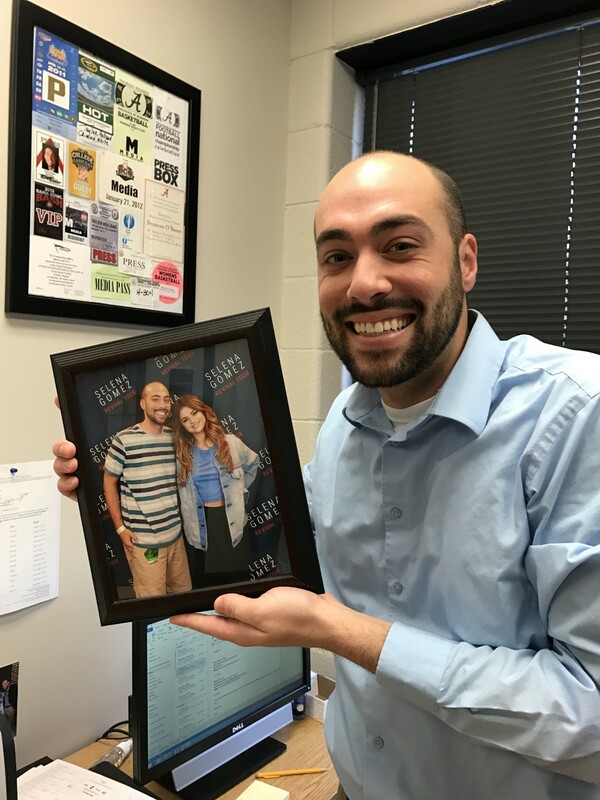 The Innovation Team is also able to make Camtasia available to faculty who are developing material for online courses offered as part of Bama By Distance degree programs. Contact the Innovation Team at innovate@ua.edu or 205-348-3984 for more information. It is interesting that when I tell my cab driver, who is an older man in his 60s, the address of Bleacher Report, he says, “Isn’t that where Newsweek used to be?” Newsweek is still there, but that exchange speaks volumes about the audience B/R pulls in — young men. Yet as soon as I walk in I feel right at home. Maybe because I love sports or maybe because this place feels a lot like my college newspaper with the close quarters and congenial attitude of employees. Sports-related posters on the walls are random (I went nuts over a Spud Webb poster because, as a “short” person, I’ve always been a little obsessed with him.). Nothing feels extremely put together, and I mean that in a good way. This is the closest I’ve felt to an old-school newsroom in a while. 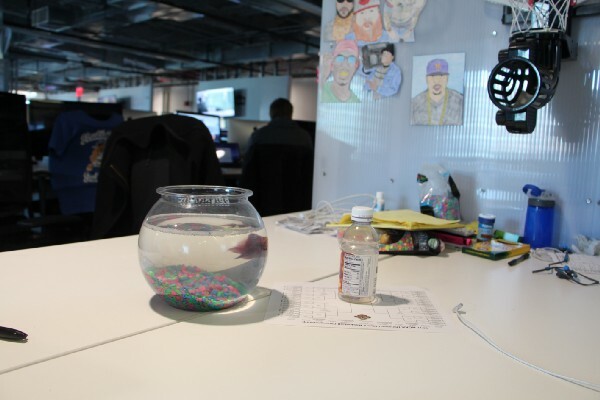 My favorite finds were 1) the arcade-like basketball game in the back of the office (B/R’s new digs will have an actual court) and 2) the pet fish. I feel confident the fish is in good hands because of the newsrooms I’ve been so far, the B/R staff is most welcoming, open and unlikely to kill an animal. Six TVs set to various games are on and it’s March Madness time when I visit. (Every newsroom I’ve been to this week concedes that it’s a lost week due to March Madness sucking employee time and energy.) As I expected, sports paraphernalia (helmets, jerseys, etc.) sprinkle the office. One of the things I always tell my students is that whatever they love in life can be turned into a career in journalism. Do you like gaming? Write for a gaming website. (Or be like PewDiePie, the most subscribed YouTuber in the world since 2013, currently at over 54 million. He basically makes a living because people watch him play video games.) Do you like animals? Shoot photography for a magazine or website that specializes in animals. Are you a daredevil? Be an international reporter that goes to far-flung, dangerous corners of the world to report on what others will not. If you love something, there is a place in journalism for you. At B/R I speak with Maurice Peebles, deputy editor of trending whose Twitter handle is @tallmaurice. I love that he embraces that (see photo of us below for comparison). The “trending” part of his title means that he looks at what topics people are talking about then turns those into further conversation with more content. Maurice Peebles is so tall his Twitter handle is @tallmaurice. He barely fits in the frame. 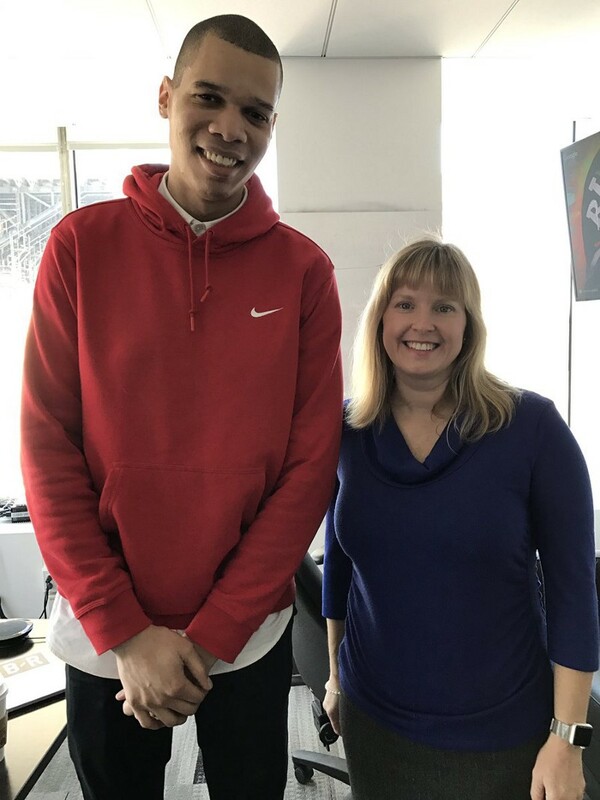 Maurice Peebles at Bleacher Report, interviewed by Meredith Cummings. Talk about two different worlds. Not only are they not geographically close together, Bleacher Report and Columbia University couldn’t be further apart in their atmospheres, but I am here on a mission. I am stalking a man named Nick Lemann who I think I might find here. Alas (words like alas are things you say when you’re at Columbia), he took a train to Boston just before my arrival and I missed him. This isn’t a newsroom in the truest sense of the form, but I feel it worth mentioning that along the way I will stop at places to shoot video and photos for my classes. Lehmann is THE person I want to talk to about Joseph Pulitzer and his life. Many people know Pulitzer from the prizes that bear his name, but there is so much more to this man. So Mr. Lemann, if you’re reading this, let’s catch up! 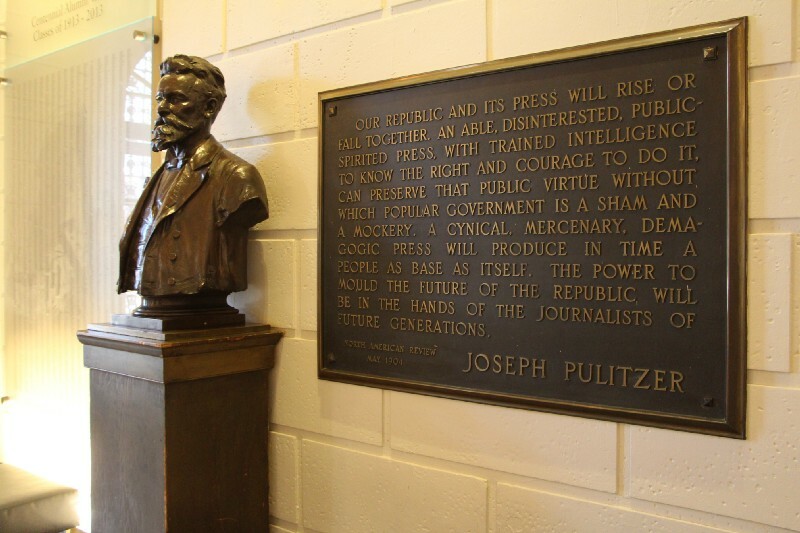 I can’t even begin to think about talking about journalism history in any of my classes without a visit to Columbia to the school that Joseph Pulitzer bequeathed the funds to begin. 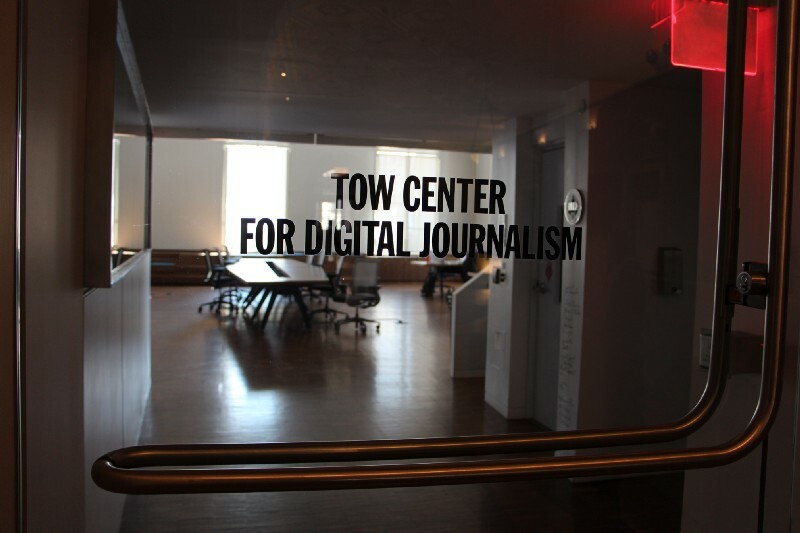 So I traipse around campus and visit the Tow Center for Digital Journalism, of which I am a big fan. 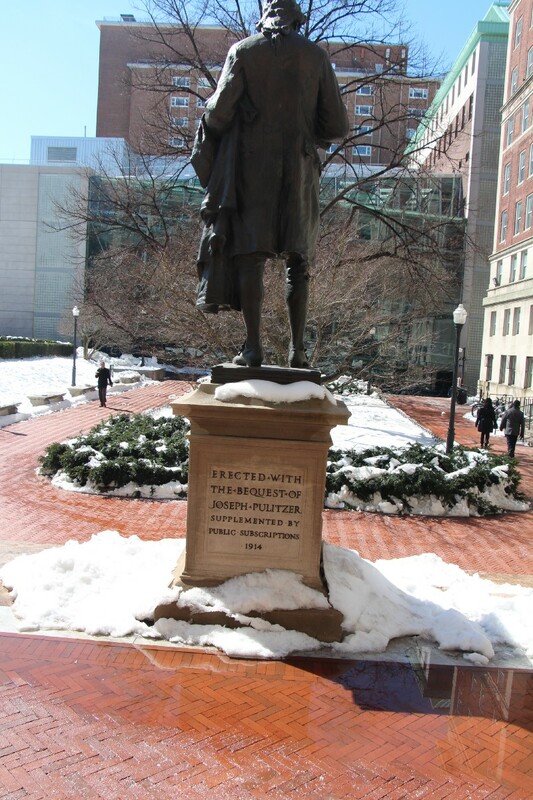 I pay my respects to the Pulitzer statue both outside and inside, front and back (because you can never get enough Joey P.) at the Columbia University Graduate School of Journalism. Stay tuned for the second leg of my trip soon. For now, it’s back to UA to teach class. Reblogged with permission from a post of the same title published at medium.com on March 17, 2017. 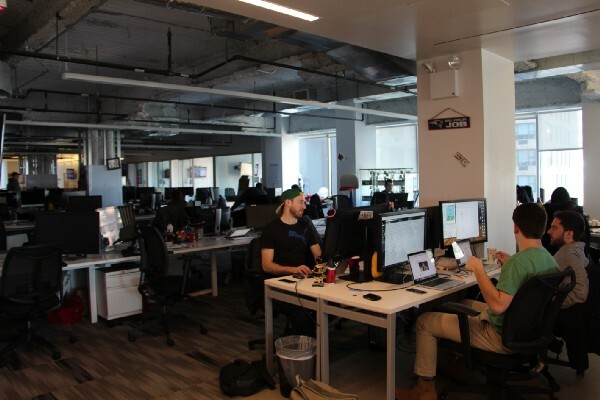 BuzzFeed is exactly as buzzy as you think it would be. 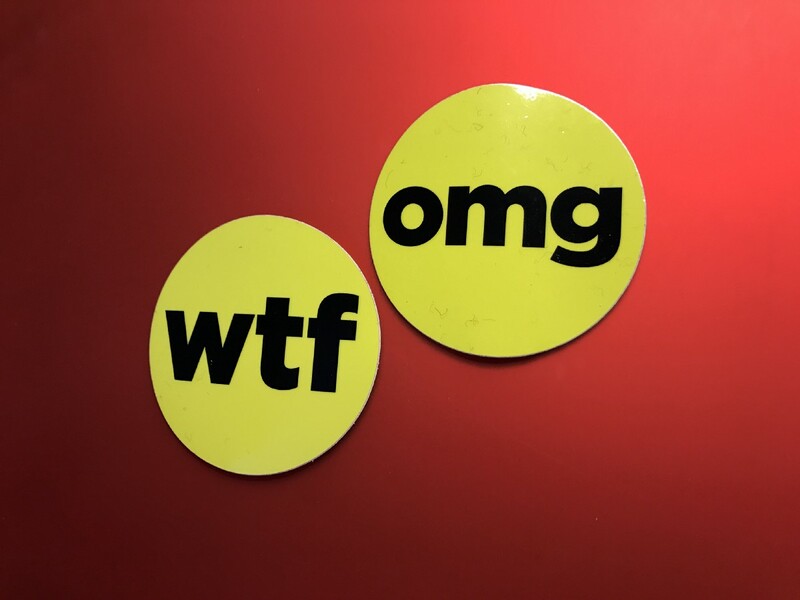 At the reception desk/security check-in I am offered stickers that say omg, wtf and lol, along with mints. Nothing starts a day off right quite like being offered a wtf sticker and a mint, both of which I take. 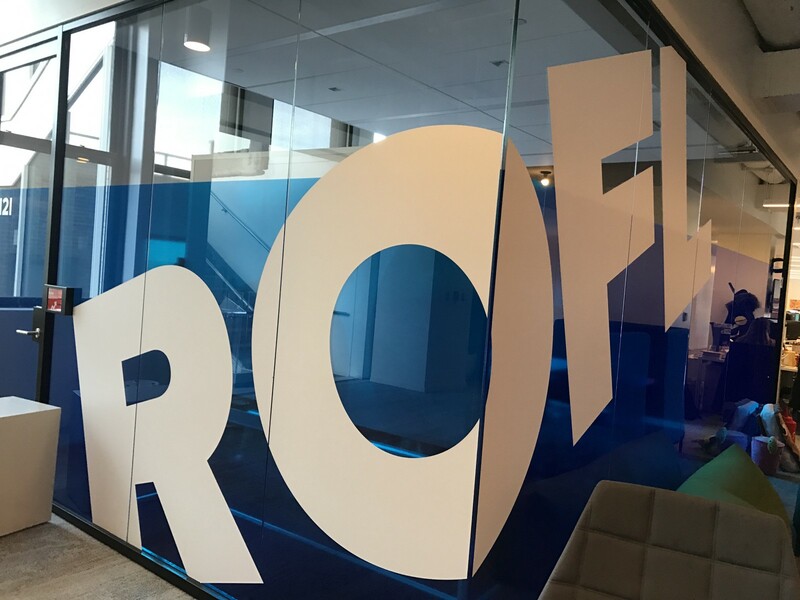 Even before I go into the building, the giant block font that greets me at the door and in the elevator area says, “This is going to be fun and very, very big.” Because the font is very fun and very, very big. I imagine all of my friends who geek out over typefaces would love and appreciate the clean lines. I have weird friends. I log onto the wireless guest Internet access and even the guest password is catchy and cute. From the moment I enter, Buzzfeed is a carefully cultivated image of hip. At 44, I have never felt so old. I have not been given clearance by BuzzFeed’s public relations department to shoot video while at BuzzFeed (despite my attempts), but my very quick tour gives me a sense of the place. No. It slaps me in the face with a sense of the place. As I am whisked up several flights of stairs, the culture clearly screams “WE ARE YOUNG AND HIP,” which is exactly what I expected. Not in a “We are young and hip and better than you” kind of way, just in a matter of fact manner. On every desk is a yellow circle, just like the ones on the top right of the BuzzFeed home page, with each employee’s name on it. On each floor a kitchen area offers various drinks and snacks, from giant plastic containers of various nuts to a row of cereal that would make Seinfeld jealous. These are my people because they love food. But their food is way cooler than mine. The newsroom is like many newsrooms in America, with televisions (that day turned to CNN, at least at the moment I was visiting) and people milling about, but mostly sitting and typing. For all of its embracing cat videos and text message abbreviations, Buzzfeed’s split into a separate entertainment and news division has allowed it to come into the news business like a bull, and not do things in a business-as-usual way. Remember when it dumped a Trump dossier? (Which, by the way, I ethically disagree with because it violates the SPJ Code of Ethics, but my students and I have had healthy debates with each other and with a Buzzfeed employee who visited.) This is the second time during my project I am reminded that media companies, in some ways, cannot do journalism in the same way they once could. Journalism has clearly missed the window for the time to step back, take a breath and think. So it strikes me that many media companies are trying to see what might stick. (In college, we used to throw spaghetti at the wall to see if it was done. If it stuck, it was done.) In Buzzfeed’s case, the expansion into seemingly endless new territory (See Tasty and Nifty) seems to be working. But in many companies I feel like lots of spaghetti is being thrown at walls. Maybe it’s because I saw Aladdin on Broadway the night before I visited Buzzfeed, but I wish for a lamp and a genie so I can see into the future 10 years and see what journalism in America looks like. Will we even know what ROFL means any more? If part of my goal is to take a snapshot in time of 2017 media companies, Time, Inc. juxtaposed with Buzzfeed is a good study in that. The differences between the two are subtle and important. Time, Inc. has carpeted floors, as opposed to BuzzFeed’s industrial look and is starkly more traditional. I feel no need to use abbreviations here. Or take a quiz. I sense history, in part due to the photographs from years of SI on the walls and, downstairs at the entrance, a Time photography retrospective. 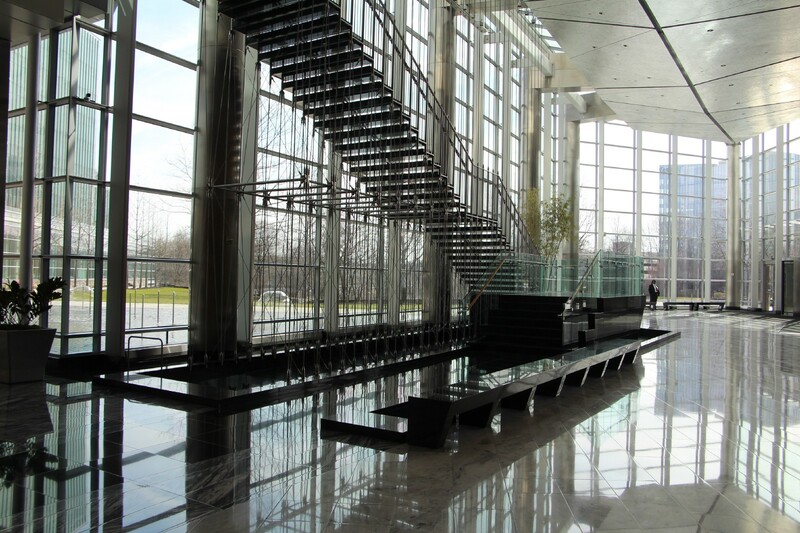 Time, Inc. is right by One World Trade Center and is imposing and corporate from the outside. I meet Kelsey Hendrix, Producer at Sports Illustrated (SI) on an upper floor after clearing security (something I’ve been asked to do at every media company in New York, but this one is particularly thorough). 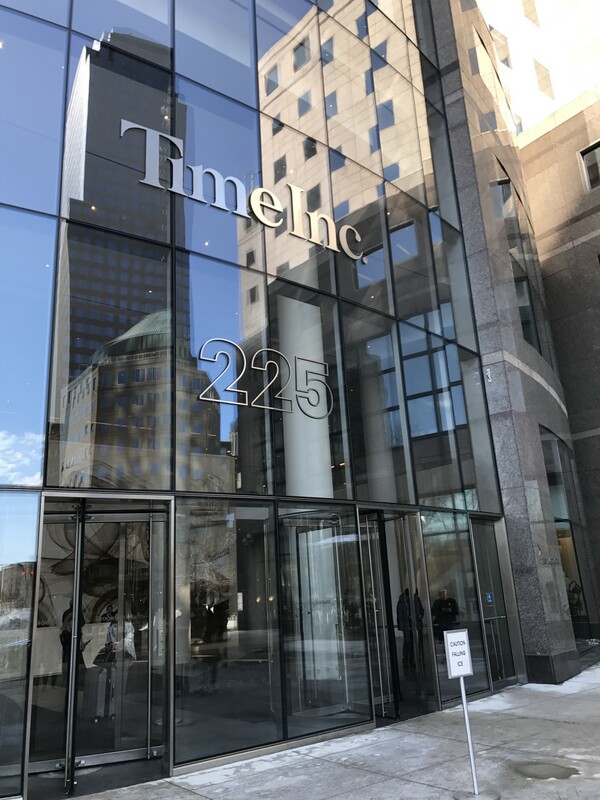 I’ve been here before, to visit Time magazine, where the elevator spits me out today, and there is very little differentiating Time magazine from SI. The same colors and red filing cabinets, chairs and accents are sprinkled throughout the offices with standard issue cubbies. 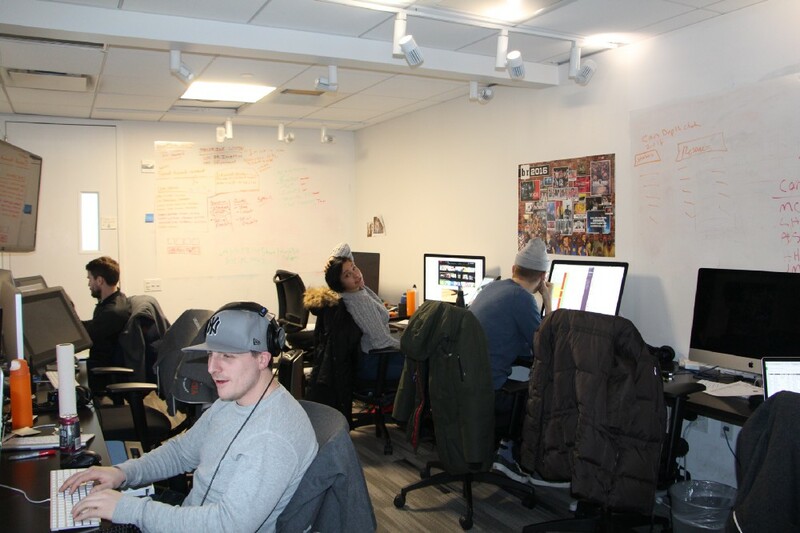 I’m no decorator, so I only point this out to show that newsrooms all have different vibes and this one is clean and corporate, except for that one random dog I saw walk through with its owner. What really strikes me, though, are her comments on diversity, but let me first put them in context of my week: Being in New York is always refreshing to me. In a cab my driver was from Poland. In an elevator a Swedish couple canoodled. Today I was on the subway and the man next to me was reading a newspaper in Greek. A group of young men wearing yarmulkes sat across from me. The man next to me spoke Italian on the phone. Frankly, these are things I don’t usually see. Hendrix struggles to reconcile her surroundings with her work environment, something I’ve already heard several times on this trip from other journalists, and I’m just at the beginning of my journey. Reblogged with permission from a post of the same title, published at medium.com on March 17, 2017. Reblogged with permission from a post by the same title, published on medium.com, March 14, 2017. At this moment, I am typing from a hotel in northern Virginia, having just driven 12 hours and lost two hours (thank you daylight savings time). I am literally driving into a blizzard in New York City tomorrow after local stops. I am tired. Reblogged with permission from a post by the same title published on medium.com, March 12, 2017. In my first entry, I discussed several of my sources of inspiration as a way of describing how I initially approached the project of making lecture videos. I’m going to leave most of the technical details – what applications I used, how I achieved particular effects – for a third entry. This entry, then, is an account of the awkward transition from abstract vision to deliverable course. Some of the awkwardness was the result of my working style. I don’t tend to systematically evaluate the options before moving forward; I dive in, try things, and, after hitting quite a few dead-ends, get a sense of what works and what doesn’t. One of the first decisions involved determining what proportion of the visuals would be created “from scratch” and what proportion would be “borrowed.” I’d start with a voice-over script that was my own, certainly, but I didn’t necessarily have to write, draw, photograph, or film every visual element I’d use. I already integrated a handful of film clips and photos in my typical classroom lecture, but video lectures presented the opportunity to do this on a much grander scale. What if I just made the whole thing out of clips? Wouldn’t this be better than bullet points or some digital approximation of a whiteboard? Here, I feel compelled to cite another point of inspiration: the sample-based hip-hop pioneered in the 1980’s. Listening to this music taught me that a skilled artist could re-purpose clips of existing creative works and make something that felt just as compelling and original as any new work. Sampled beats and horn blasts carried with them the expensive studios and skilled session musicians of the originals, yielding a sound that had a professional sheen to it which other do-it-yourself musical movements like punk and “indie rock” simply didn’t possess. I found echoes of the methods and aesthetics of sample-based hip-hop in online culture of the past decade. Nearly every bit of viral ephemera circulating through social media seems to include an existing photo or phrase re-purposed for ironic intent. Once you see the creative possibilities of sampling, everything around you (particularly images and recorded bits of sound and video) becomes a potential component in whatever you’re trying to create. This is, mostly, how I approached the process of creating the visuals for my lecture videos. I say “mostly” because I created some visual elements (maybe 25% of those used in my videos) from scratch, typically by creating and animating Powerpoint slides with figures and text and then recording these animations using video editing software. But the vast majority of the visual elements in my videos were appropriated. Sometimes, I had particular clips or photos I wanted to use, either because I explicitly referenced them in the script or because they were good illustrations of the general principle I was explaining in the script. In the case of film clips, I could just hunt down DVDs of the film and capture the relevant part of the DVD using video capture or editing software, but I quickly realized that this approach would be too slow and onerous. The amount of labor involved in this process would mean that it would take months to create a single clip-heavy video lecture (the math on this changes if you have assistants, as a documentarian might, but this is unlikely to be the case for many teachers). And so I turned to the internet. Finding these clips or photos was as straight-forward as any online search: I typed various iterations into Google Images or YouTube until I found what I was looking for or until I became too frustrated to keep trying different iterations. This process continually reminded me of the limitations of the seemingly-limitless troves of content freely available on Google Images and YouTube. There were also times when I didn’t have a particular image or clip in mind; I needed an example of a montage from the silent film era, or an image of a director, any director, working with actors. In these instances, the limitations of freely available content weren’t as obvious. I could find exemplars easily enough, but they tended to be the same exemplars, over and over, reflecting a certain limited set of sensibilities: American, white, young, and straight. This worked against my intention to feature images of a diverse array of people in my videos. What was true of YouTube was also true of Google Images. It’s quite easy to find images and video of young, attractive, white people engaged in a wide variety of behaviors, but much harder to find images and video of anyone else engaging in anything other than culturally stereotypical behavior. There are exceptions, of course, but they take time to find, and so I had to build in the extra time to dig deeper than the first layer of YouTube and Google Images. Of course, the sampling approach to making videos raises all sorts of ethical issues. Here’s where I landed on those issues: as long as you provide proper attribution and don’t create a substitutable version of the original, you’re okay. There is a way to create a sample-heavy work that motivates the listener/viewer to track down the entire original work, thereby increasing the visibility of the original. This happened with me while watching Visions of Light and I hope it happens when I include a visually stunning clip from an obscure Iranian film to which most students would never have been exposed. I feel a bit less certain when defending my use of interviews and B-Roll from documentaries I found on YouTube. Arguably, I’m mooching off of others’ hard work, and because lecture videos exist outside of the classroom context, I can see how they could be substituting for the original in some sense. I’m certainly open to a debate on what it’s okay to sample in a lecture video. The sampling method is great when you’re describing a concept and want an accompanying visual to act as a kind of concretization of the concept, but this isn’t always what you want. Many textbooks and classroom lectures alternate between explication of abstract concepts and descriptions of specific examples, but most online video “explainers” either commit to showing specific examples of concepts explained on the soundtrack or show simple animations corresponding to the words on the soundtrack. In its specificity, video forecloses imagination in a way that print and audio tend not to. When listening or reading, individuals can imagine what characters and places look like; in the learning context, students can fill in your own examples of a concept. So, that’s one thing I discovered through trial and error: there are certain ideas that I wanted, in some sense, to remain abstract. In such instances, I created animated diagrams that used shapes to represent concepts and their relationships to one another. When creating these diagrams, I tried to think in terms of color, shape, movement, and using the entire frame. I used similar colors for ideas or concepts that are proximate to one another, and contrasting colors or shapes for concepts that are not proximate to one another. I didn’t bunch things up at the top of the frame just because the program with which I was working did this by default. I avoided using small fonts, anticipating that some students would be watching these videos on smaller screens. And I maintained visual appeal by moving the shapes around the frame, not in a gratuitous way (i.e., because I could), but instead as a means of improving clarity and keeping students engaged. While I used some variety from minute to minute to keep students engaged (in terms of editing pace, color, and amount of movement), I tried to maintain some level of consistency across the videos. I found that if you use a lot animation in the first half of a video and don’t use any in the second half of the video, it was distracting (the viewer is left wondering, “where did the movement go? Why did things slow down?”). Each lecture video and the series of lecture videos will have a kind of internal stylistic norm that guides students’ expectations, and violations of those expectations will distract the student. Here, it’s worth paying attention to how long it takes you to create your first lecture video. Of course, some of the process will become easier and quicker as you become more experienced, but not all of it will. If you develop an aesthetic that requires forty hours of work per video, you can easily end up with inconsistent qualities across your videos that is borne out of the necessity of finishing all of your videos in the allotted time. Often, I wouldn’t know if a certain moment of the lecture would work well with a particular image until I tried it out. As the accomplished film editor Walter Murch notes, stitching together a motion picture is a lot like learning how to dance: you just need to get out there and try it. In the next entry, I’ll share more of the technical details of the video lecture creation process.